Burnt out or exhausted adrenal glands can cause other serious health problems, aside from fatigue and low energy levels. Using a natural remedy below can help reduce adrenal exhaustion. 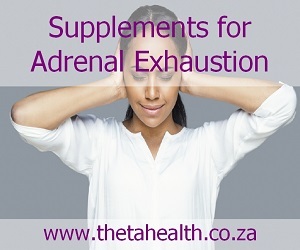 We have adrenal exhaustion supplements, vitamins and natural herbal health products to support the adrenals glands.